The data were provided to BODC in ASCII format, and the series were reformatted into BODC standard internal format using a transfer function. 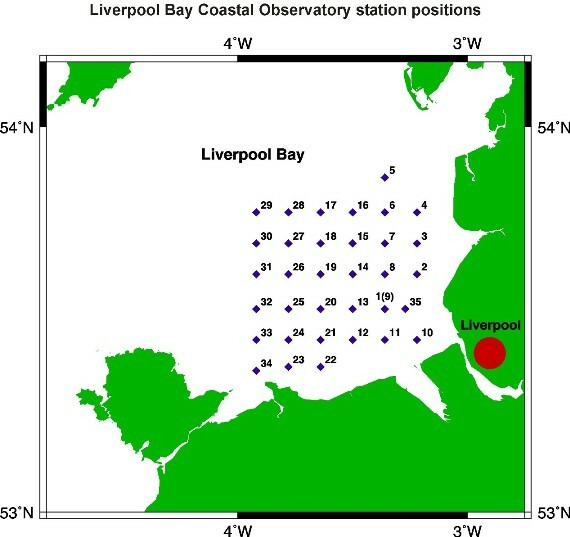 The following table shows how the Originator's variables present in the Sea-Bird MicroCAT data were mapped to the appropriate BODC parameter codes. Salinity No units provided Practical salinity of the water body by conductivity cell and computation using UNESCO 1983 algorithm PSALPR01 Dimensionless This was supplied by the Originator and calculated following Fofonoff and Millard (1983). The reformatted data were visualised using the in-house EDSERPLO software. Suspect data were marked by adding an appropriate quality control flag, missing data by both setting the data to an appropriate value and setting the quality control flag. Any channels which comprised entirely of absent data indicators were excluded from the final qxf. Fofonoff, NP and Millard, RC. 1983. Algorithms for computations of fundamental properties of seawater. UNESCO Technical Papers in Marine Science, 44, p.53. After the mooring was recovered, the data were downloaded from the instrument logger, and factory calibrations were applied to the conductivity, temperature and pressure channels, when present. The data were declared good quality and no corrections were applied. Series with consistent offsets, spikes or periods of bad data were edited to correct for these issues. Spikes and periods of unrealistic values were converted to absent data indicators. The series was marked as 'use with caution', if there were problems which the Originator was unable to correct, or if it was unclear whether there was a problem with the data, such as in instances where it was not possible to perform all of the quality checks.